Welcome to Pocket Calculator’s Classic Walkman Museum. 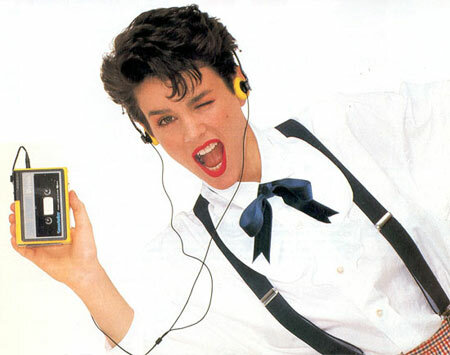 Our goal here is to provide you with the most complete vintage walkman & portable stereo information source anywhere. As trivial as the subject may be, we realize there’s a following out there in search of information on the history, technology and collectibility of personal stereos and walkmans. The museum provides information on the birth and Golden Age (1979-1989) of these devices through photos, information and opinions. Most of us have no trouble taking this little device for granted, and perhaps that’s only indicative of its success. We struggle to name another invention that has reached such ubiquity in such a short period of time. Sadly, this little gadget has fallen into decline in recent years–gone are the days of sharp styling, state-of-the-art engineering in a small, yet feature-laden package. We’re left with hackneyed, disposable descendants, most of which are bulkier than those made 15 years earlier. All is not lost. The best of the best will live here, immortalized within these digital walls. We’re proud of our effort, but realize this undertaking is far from complete. In the first 20 years of the walkman’s existence, there were literally hundreds of models produced by dozens of manufacturers. Drop us an email to provide feedback, personal stories, information or photos (sure, we’ll take donations too!) and we promise to add it to the site! This entry was posted in Walkman by pocketcalculatorshow. Bookmark the permalink.